Transit planners are fantasizing about making Minnesota's next generation transportation system reality. That means changing the way Minnesotans have traditionally thought about how they get around. Instead of two separate worlds -- one of roads, bridges and vehicles, and another of buses, light rail and other mass transit --planners want to create an integrated system that makes it easier for people and goods to move around using different kinds of transportation. It's all part of a plan designed to help Minnesota catch up with transportation spending in other states. 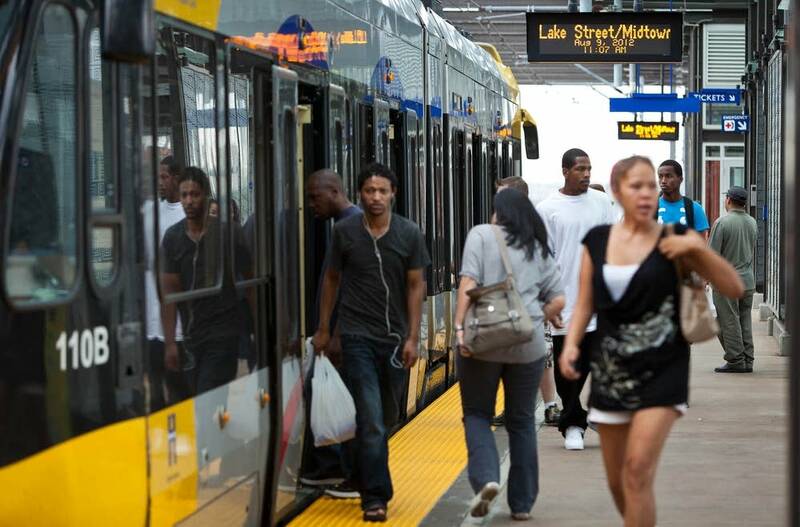 If transportation advocates get their way, the sound of light rail, bus rapid-transit and other forms of efficient transit will become more common around the Twin Cities metro area. By the year 2030, the Metropolitan Council wants at least three more light rail lines and at least five highway bus rapid-transit lines with dedicated lanes. The vision also calls for at least a dozen other rapid intercity bus or streetcar lines on major avenues and at least one more commuter rail line. Planners also want to improve local bus service and access for pedestrians and cyclists. A map of this fantasy transit system shows brightly colored lines crisscrossing the metro. Will Schroeer of the Minneapolis Regional Chamber of Commerce loves the map. He presented it at a recent transportation conference, comparing to another map showing the Twin Cities' current rail transit system and other regions around the country. "This is a map that if it doesn't strike fear into the hearts of policymakers, it should. And we are trying to get it to strike fear," Schroeer said. Most metropolitan regions on Schroeer's map -- including transit-rich cities New York, San Francisco or Boston, but also smaller cities like St. Louis, Salt Lake City and Seattle -- are covered by a patchwork of transit lines, like the Twin Cities fantasy map. But the Twin Cities has completed just one line: the Hiawatha light rail line that stretches from downtown Minneapolis to the Mall of America. The Twin Cities risk falling further behind without new and better ways for people to get around, Schroeer said. But there is a catch. "Bottom line: we need more revenue if we are going to compete with our peer regions and build this," he said. Estimates put the cost of building out the system at roughly $4.5 billion. A number of proposals at the legislature would help raise the money. One proposal would raise $300 million annually for transit, bike and pedestrian improvements in the metro area, and $32 million for outstate Minnesota. A coalition of transportation, environmental, health, business and union groups support the bill, which also would expand transit in rural Minnesota. The proposal would allow Minnesota to build the transit system on the fantasy map in 15 years, even sooner than Gov. Mark Dayton's plan, said advocate Barb Thoman. She said the Twin Cities has outgrown its current transit system. "It is too small for the size of this region and we have been lapped by many of our peers in terms of their willingness to tax themselves to build out their systems, both the bus and rail," Thoman said. But that is changing, she said, and more people on both sides of the aisle are supporting public transit in Minnesota. "I think people here have realized the value, the many benefits of public transportation," Thoman said. "People are now saying we need to do the same as Denver; we need to do what Dallas is doing; we need to do what Seattle is doing." Residents in those cities are taxing themselves at higher rates for more transit. Gov. Dayton's proposal would raise $250 million annually for building-out transit by raising the seven-county transit-dedicated sales tax by a quarter-cent. 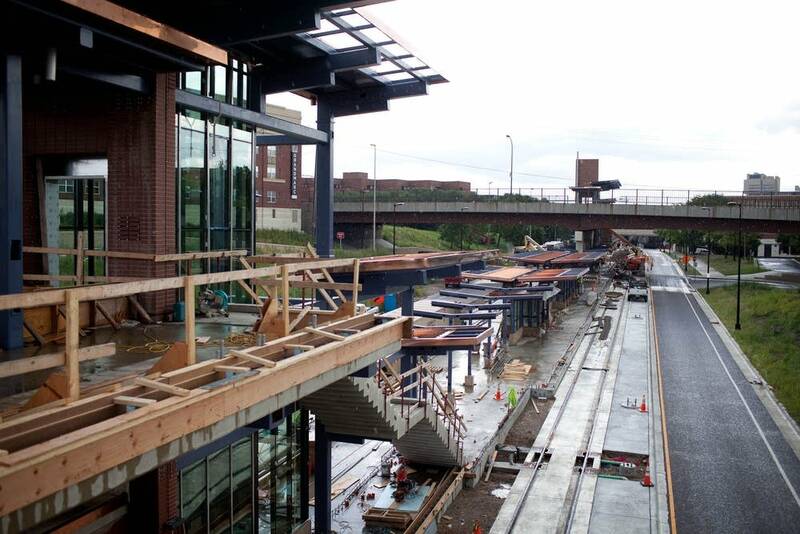 With nearly a million new residents expected in the Twin Cities by 2040, planners say they need more transit options. That is especially true for millennials who drive less than older Americans, research shows. "This economy needs to stay mobile to guarantee a good supply of workers to the employers of the region so they can get there reliably and affordably," Hennepin County Commissioner Peter McLaughlin said. That is why the business community and more Republicans are supporting the Twin Cities' existing and planned light rail projects on the fantasy map, McLaughlin said. But not all Republicans like light rail. Many see it as too expensive and less cost-effective than buses. "There is a graphic that shows 40 people on a bus, a bus rapid transit system. And then it shows right beside it a graphic of 40 cars. And it's very powerful," said Republican state Sen. John Pederson of St. Cloud, the ranking minority member of the Transportation and Public Safety committee. Pederson is open to finding ways to bring more transit like bus rapid-transit and other fast, high-frequency bus service to his underserved area. The governor's plans for transit will be revealed when he presents his new budget plan, expected later this week.